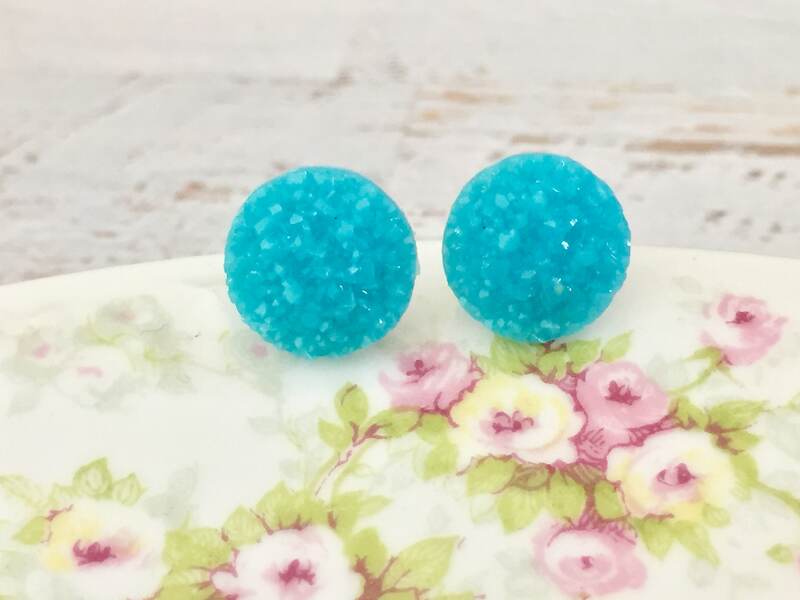 These bumpy shiny faux druzy stud earrings are in the prettiest aqua blue color. 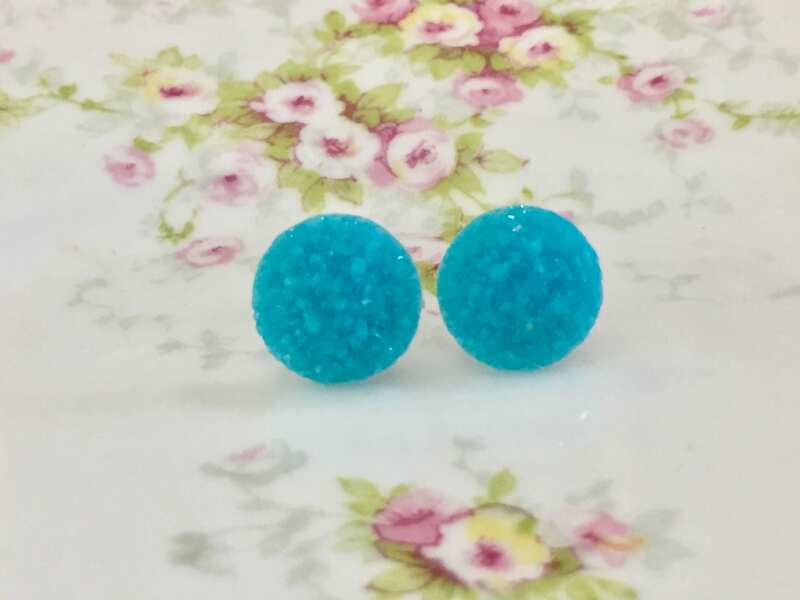 You are purchasing a pair of earrings like those shown measuring about 10mm in diameter (just under 3/8 inch). 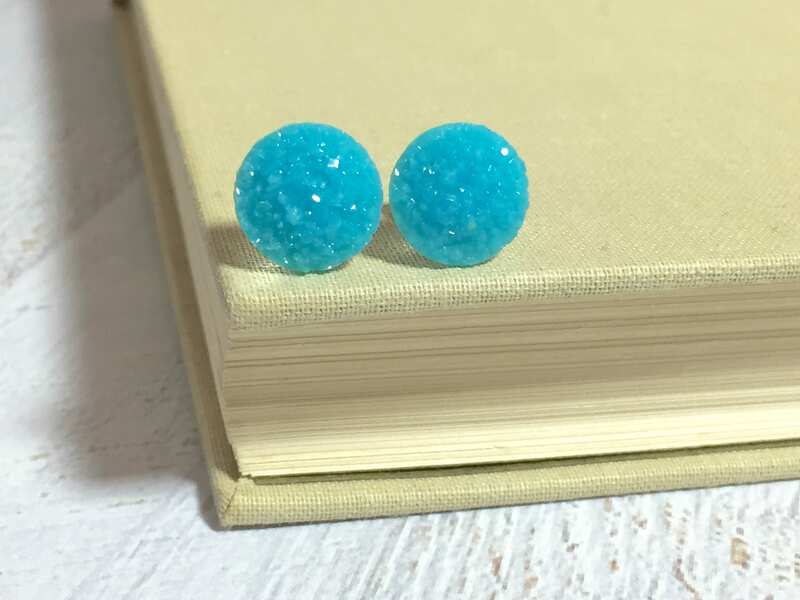 The earrings are made with stainless surgical steel ear posts. In the last picture, I have shown sizing references as well as the available colors. 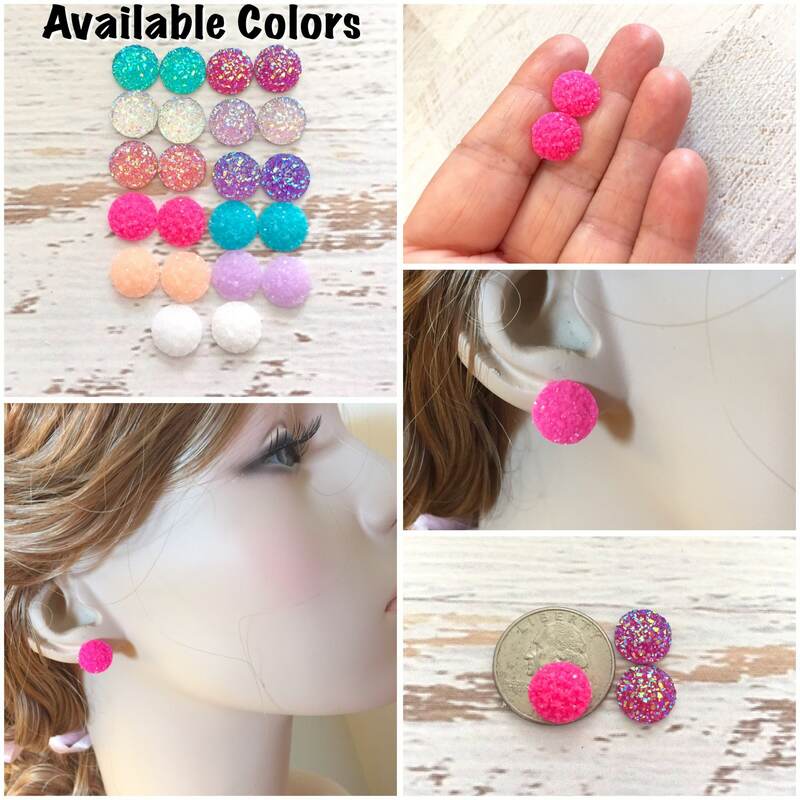 Please see my shop to find your favorite.